This 13 year old girl with severe hair pulling and hair loss had both medical and psychological needs. Her condition could be partially handled by the pediatrician, but without getting to the cause of the problem, the trichotillomania would have progressed and been disfiguring later in life. 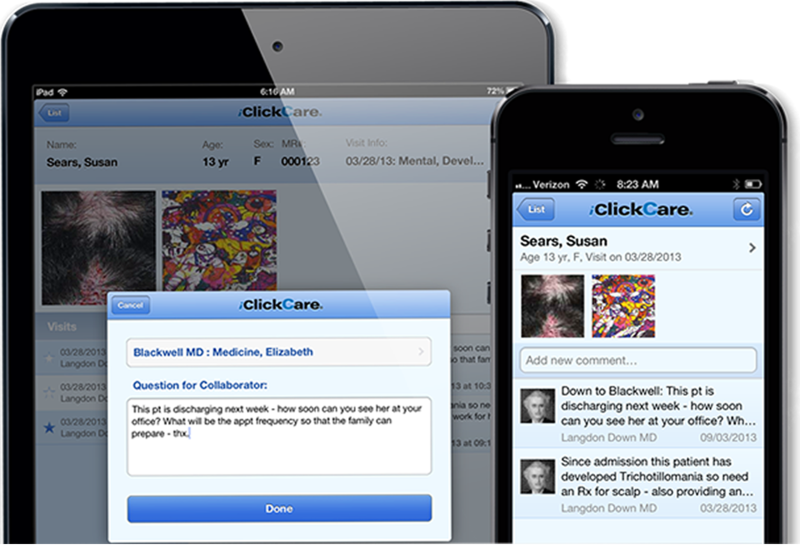 Prompt collaborations using iClickCare were very important for this patient.